By Ilyse Liffreing . Published on March 25, 2019. Domino's wants to make it easier to order pizza on the run. The feature will begin rolling out to "millions" of vehicles beginning in the second quarter of 2019, says Brian Woods, chief marketing officer of Xevo. The company's technology is currently in about 25 million cars. The app is a way to glean insight into where customers are when they make an order, making sure a delivery is timelier, says Chris Roeser, director of digital experience at Domino's. "We have a long history of finding ways to minimize friction and make the access to pizza much easier for our customers," he said. "We view this as another entry point." Woods says the technology can track where a car is located and which direction it is heading in, allowing the system to direct drivers to their nearest Domino's for pick-up. It can also track how fast a car is traveling so that it can estimate arrival time for a pick-up order. Domino's is able to see this data as soon as a transaction is made, says Woods, and can add the insights to what it already knows about its consumers, such as what the customer has previously ordered. All drivers that use the Xevo system have to first opt-in to do so, allowing the service to share their location with Domino's. "It leverages vehicle data combined with what Domino's already knows about its customers," says Woods. "With just a couple of touches of the screen, we can place the order at the right Domino's, estimating the time of arrival, so that the pizza is hot and waiting for them when they arrive." The move is the latest way Domino's has experimented with technology to deliver pizzas as part of its "AnyWare" initiative. Currently, customers can order Domino's from smart devices like Google Home and Amazon's Alexa as well as through smart watches, SMS, Slack and Twitter. It's also not the first time Domino's has added ordering by connected car. 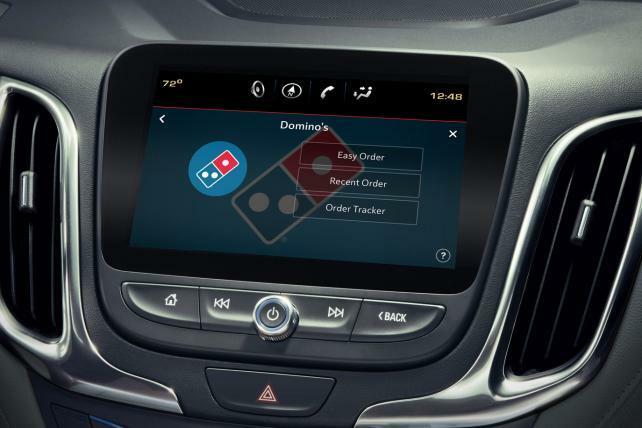 In 2014, Domino's brought voice ordering to the Ford Sync. For some consumers, it might be a safer alternative than picking up their phone to make an order. But for those who would rather speak order with their voice, the app also has the option to order by phone. For now, drivers cannot make orders straight to their cars, although Roeser said it is something it the pizza giant is working towards. 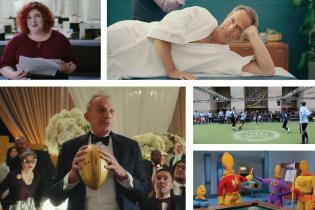 In April 2018, Domino's launched its HotSpots, which includes around 200,000 areas for delivery, such as parks and beaches. Connected cars offer advertisers an abundance of opportunity when it comes to location data, and brands like Domino's are slowly wading into the space to see what they can do. According to a 2016 McKinsey & Co. study, 55 percent of 3,000 people surveyed said they would be open to exchanging their connected car data for better car services and experiences. The same study found that monetizing car data could grow to $450 billion by 2030.